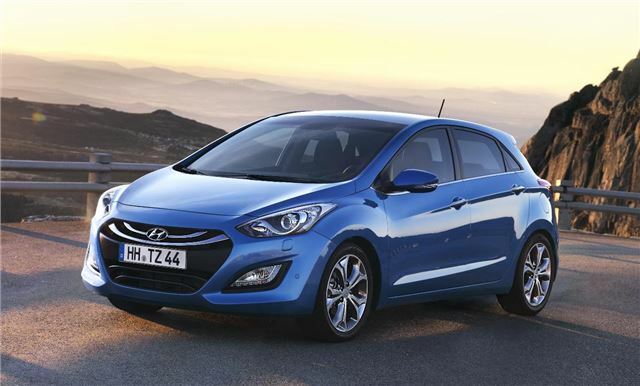 Some of the finer details of Hyundai’s important new i30 have been revealed. The new model, which goes on sale in early 2012, falls into one of the busiest and most competitive markets in Europe, with rivals like the Volkswagen Golf and Ford Focus to contend with. The sharply styled new model shares much of its appearance with the impressive i40 – swooping lines, eagle-eye headlights and a low, wide stance make it an attractive, purposeful looking machine. But attractive styling is only half the battle in a sector driven by rational buyers looking for practical machines. Luckily, thanks to sensible design choices, a broad engine line-up and low running costs, the i30 should compete well when it goes on sale in early 2012. There will be six engines available from launch, six petrol and six diesel, without outputs ranging from 90PS to around 130PS. A frugal ‘Blue’ engine will provide the best-in-class power/economy ratio, with an output of 128PS and emissions below 100g/km, with stop/start, low rolling resistance tyres and a smart alternator improving fuel consumption. Insurance costs should be lower on the new i30 than the outgoing model, thanks to built in features to reduce repair costs. Hyundai is aiming for a five-star euroNCAP safety rating, too. The interior is spacious, with impressive materials. Hyundai is aiming to match the quality of larger cars like the i40, Mondeo and Insignia with the i30, and based on first impressions it is well on track to achieving that. Rear legroom is up by 28% over the outgoing model, yet boot space isn’t compromised – in fact it’s up, too, by 10%. The infotainment is controlled from an intuitive and clearly presented touch screen, and the display model had a reversing camera installed, which appears from under the Hyundai badge when reverse gear is engaged. Dual-zone climate control was installed, as was an electric parking brake, and electronically adjustable seats trimmed in high-quality leather, which will be available in a number of colours besides the usual drab black. To match the more dynamic styling, Hyundai has tried to increase driver enjoyment. To that end an adjustable electric power-steering system has been fitted which has three settings – comfort, for driving in town and parking, normal, for every day driving, and sport, for enjoyable country roads. At this stage it’s difficult to say whether features like the reversing camera and touch screen will be available as standard equipment at all trim levels, but if the current Hyundai range is anything to go by then a generous level of standard equipment is to be expected. The i30 will launch in Europe in early 2012, and information on country-specific trim levels, engine variants and other details will be available nearer that time. Meanwhile, for more information on the various models launched at Frankfurt, click here.